It’s all about air, volume, and spring! 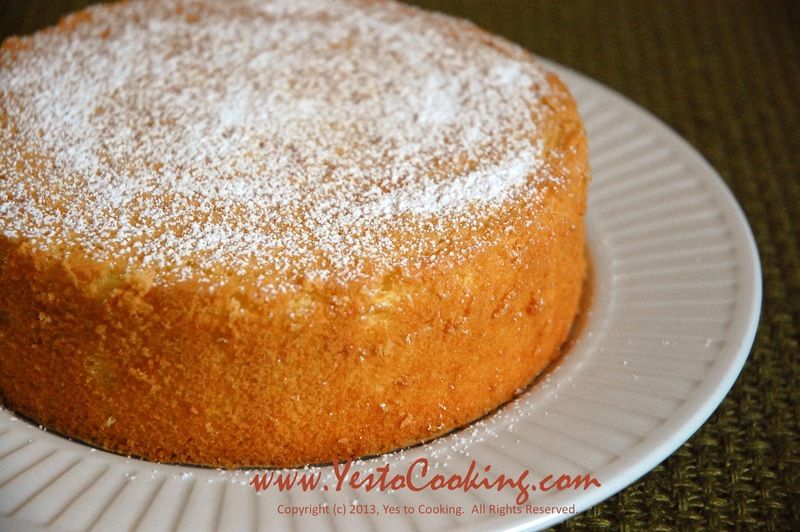 Deriving its name from its springy texture, sponge cake is a foam type cake that is delicious whether served plain, filled with icing, or used as a basis for various desserts. 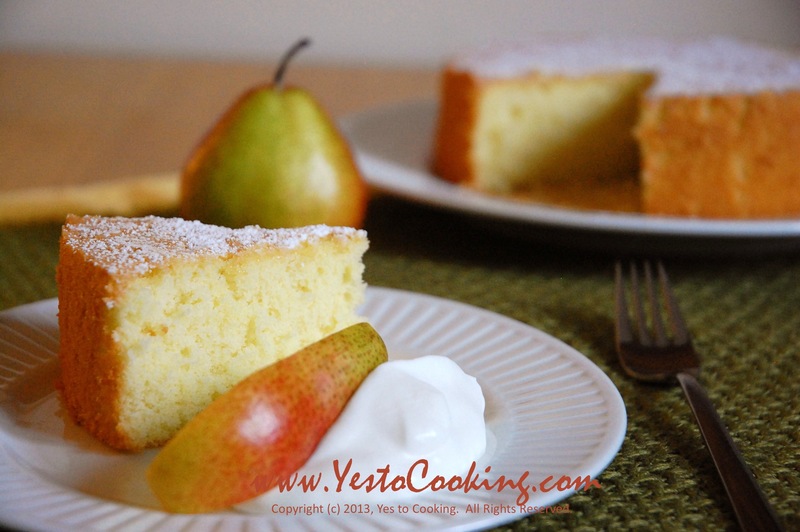 This recipe includes melted butter and whole milk to ensure the cake is moist and soft. 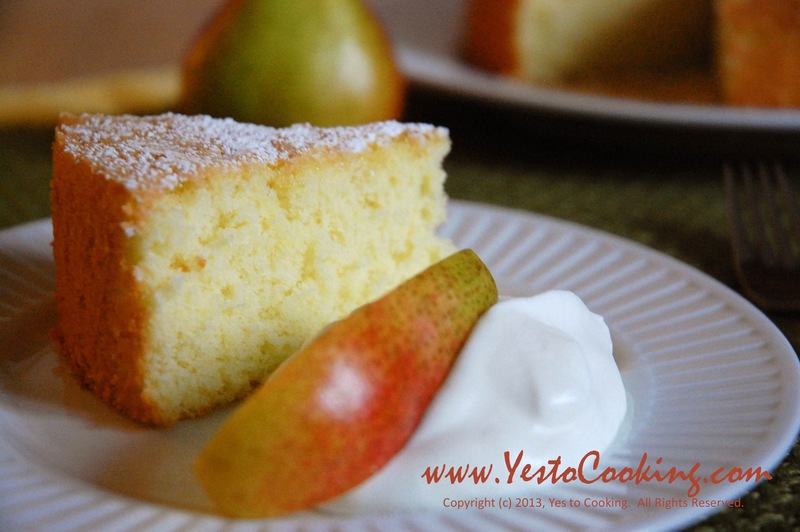 Serve this sponge cake with a dollop of Yes to Cooking’s Vanilla Whipped Cream and a slice of fruit on the side to add a special touch! 1) Preheat oven to 350F and line cake pan (8-inch round) with parchment paper. 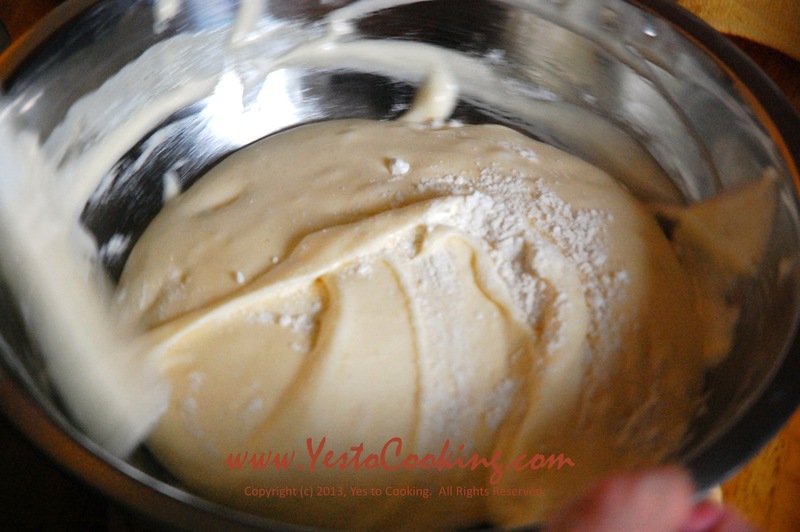 2) Sift the cake flour twice. Separately sift the sugar once. 3) Prepare a pot of water at temperature of 100F. Place a mixing bowl on top of the pot with the bottom touching the water. Beat eggs until soft peaks form. 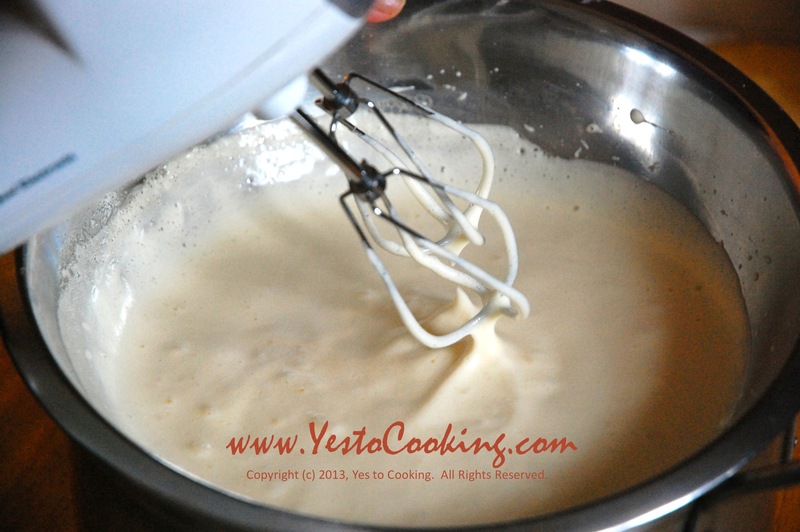 4) Gently fold flour into eggs in 3 batches. Then fold in melted butter and milk. 5) Pour cake batter into cake pan and gently tap cake pan on the table 2 times to remove large air pockets. 6) Bake in oven for 30-35 minutes until an inserted cake tester (or toothpick) comes out clean. Cool cake on wire rack for 10 minutes before serving. 7) (Optional) Sift top with confectioner’s sugar and serve with side of vanilla whipped cream and slice of preferred fruit. Sifting the flour and sugar helps to loosen the ingredients and break up clumps. Make sure that you sift the ingredients high above the table to help add air, which is the key to producing a lighter cake. Tags: baking basics, basic sponge cake, classic sponge cake, simple desserts, sponge cake with whipped cream, traditional sponge cake, vanila sponge cake. Bookmark the permalink. Beautiful pictures! 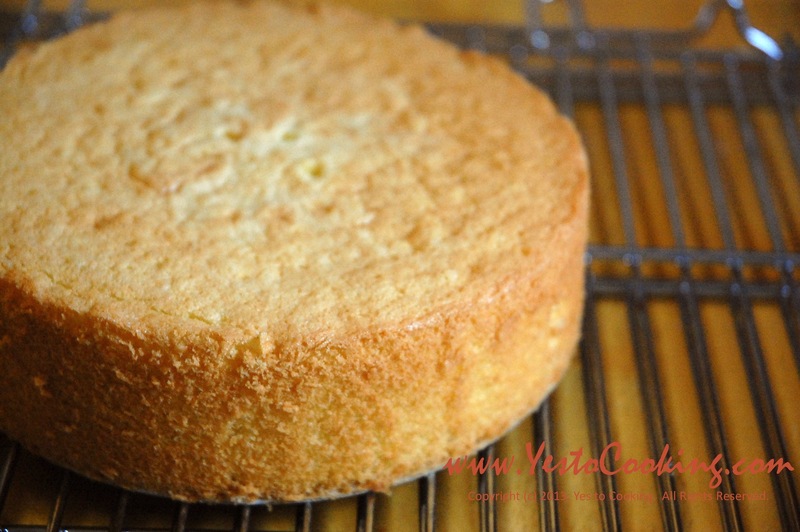 Your sponge cake looks so moist and light. Love the simple pairing with whipped cream and fruit. Sponge cake is my favorite of all time. Especially simple ones like this. Yours looks just beautiful. Like a natural beauty that does not need any make up at all. Thank you for the kind comment, Danny! 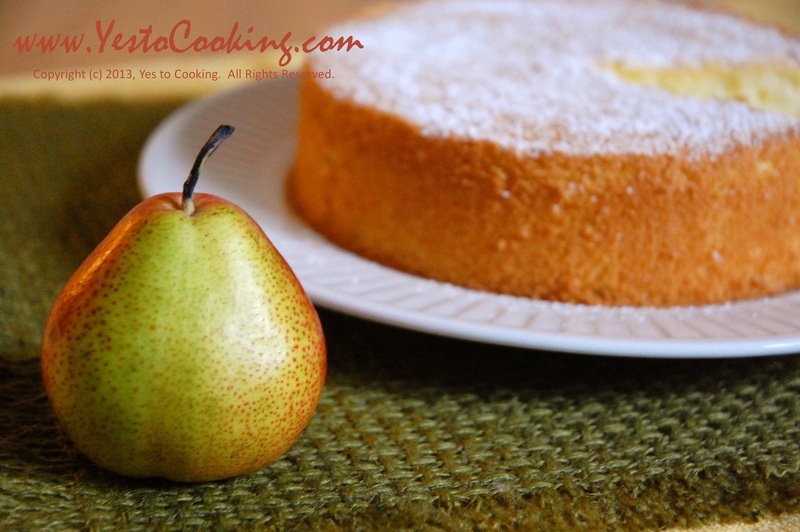 Sponge cake is indeed a great dessert because of its versatility. It’s like a chameleon that can adapt to any flavors that you give it. Sponge cake reminds me of my childhood. Your photos are making want to go bake right now! Yumm.